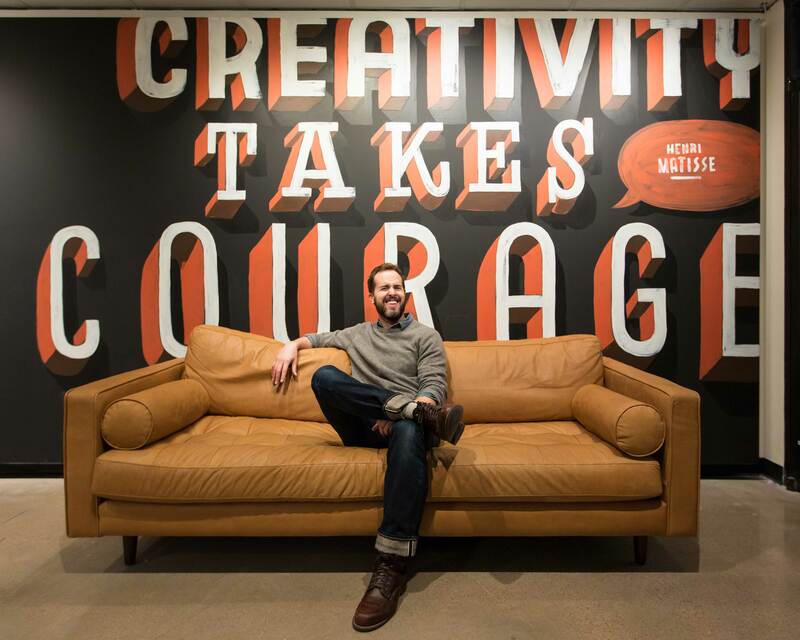 Jeff Rogers is a Brooklyn-based designer and ACU grad, known for his hand-lettered graphic design work for a long list of clients that includes Diet Coke, Fast Company, McDonald’s and the New York Times. Jeff recently visited ACU to leave his typographic mark on the new student lounge in the Department of Art and Design, and he was generous enough to let us capture his creative process and interview him while he worked. While Jeff is the first to admit he’s not done learning, he had plenty of rich lessons on tap for us from a storied design career. Take a look, in our second installation of the On Design series, our storytelling collaboration with the ACU Department of Art and Design. Randy Hunt is vice president for design at Etsy Inc., a global online creative marketplace with offices around the world. On a recent trip to Abilene, Randy sat down with us to discuss his design philosophy, as well as the value of training designers in a liberal arts environment like ACU. In a workshop with students in the ACU Art and Design department, he challenged them to use found objects to design a series of posters on creativity. Our cameras were rolling for our first episode of the On Design series, our storytelling collaboration with the ACU Department of Art and Design.